Lighter, faster, smaller and much more nimble than its forerunner, MX5 has embraced the complete suite of KODO and SKYACTIV Technology of Mazda --Soul of Motion design. 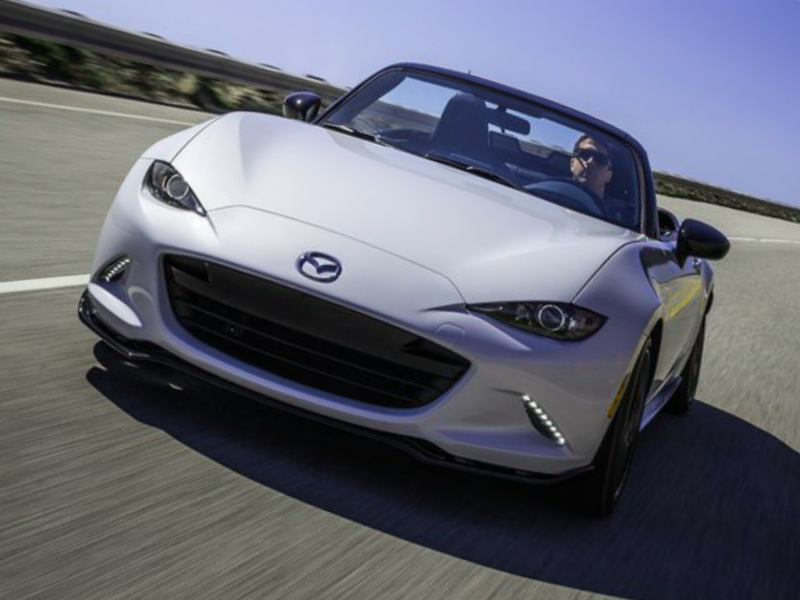 In the act, MX5 has drop about 150 pounds from its forerunner, having a curb weight of 2,332 lbs. when equipped with SKYACTIVMT six-speed manual transmission (2,381 lbs. with the six-speed automatic transmission). "MX5 is the core of Mazda, functioning as a beacon for the remainder of our line using its fun-to-drive dynamics, design and technologies," said Jim O'Sullivan, president and CEO, MNAO. 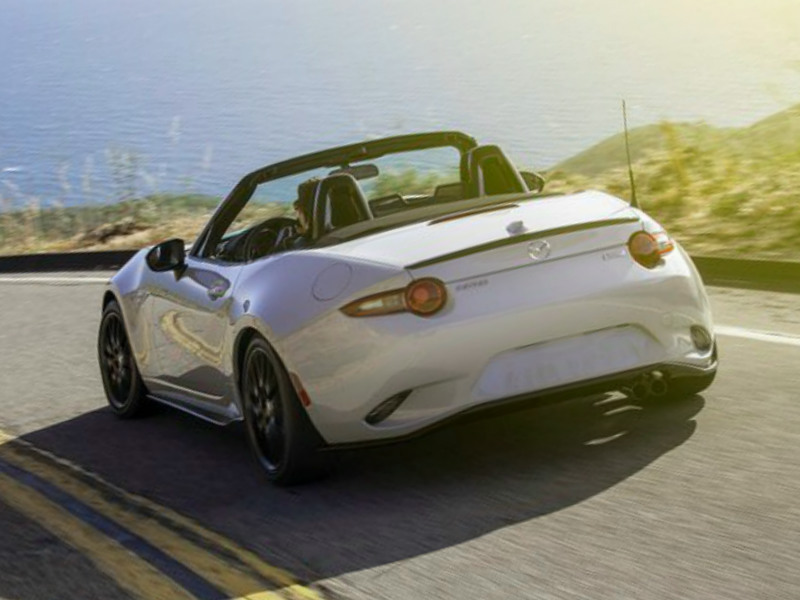 "Jinba Ittai--oneness between driver and machine--defines the MX5. Itis a doctrine that's led every decision we have made toward bringing the MX5 back to the fundamentals that got motorists fall in love with it 26 years ago when the first generation debuted." All MX-5s contracted for North America will come with streamlined LED headlights, Bluetooth mobile and sound streaming and a SKYACTIVG 2.0-liter engine. The MX5 will soon be equipped with either a regular six-speed SKYACTIVMT guide or available six-speed automatic.